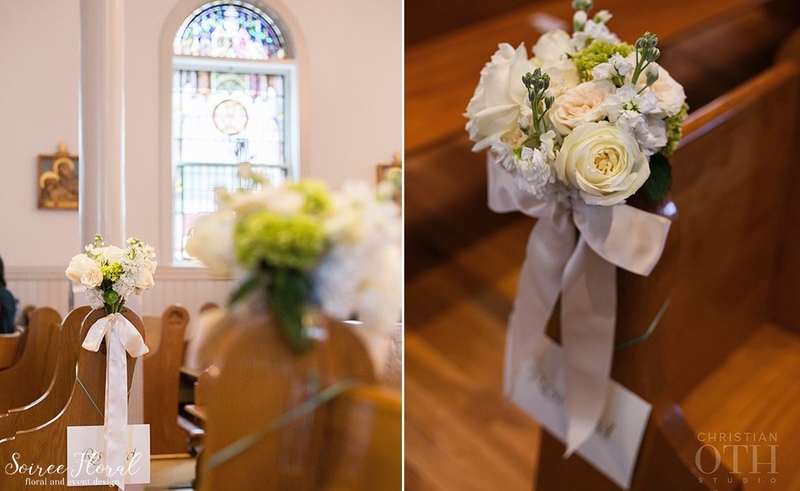 Meghan and Rick’s late September wedding was the perfect fall day. 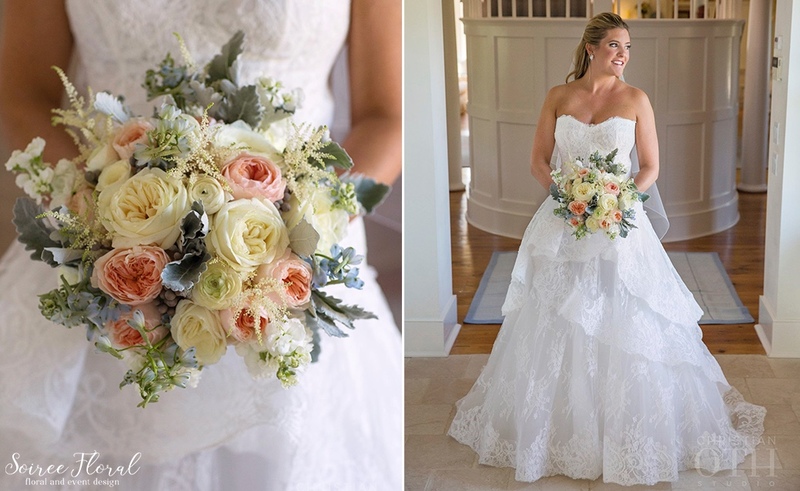 Meghan carried a lush bouquet in shades of peach, white and blue with garden roses, astilbe and dusty miller. 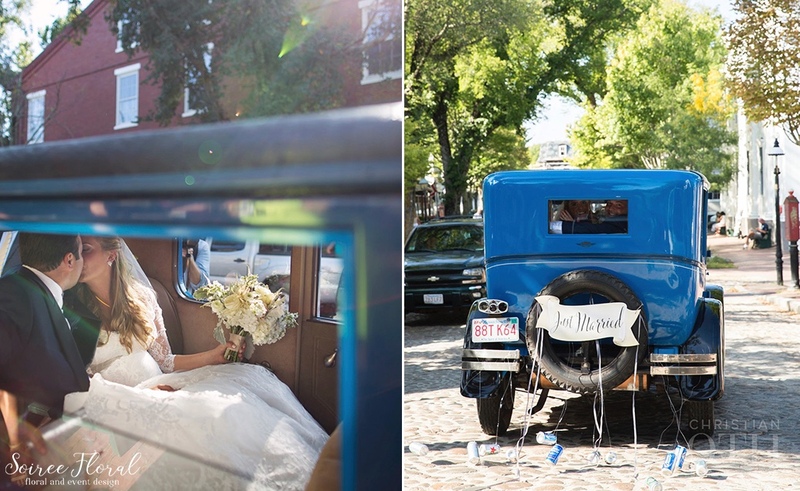 She wore a gorgeous, white lace, Monique Lhuillier gown on her way down the aisle and Rick donned a handsome cobalt and black blazer with khakis. 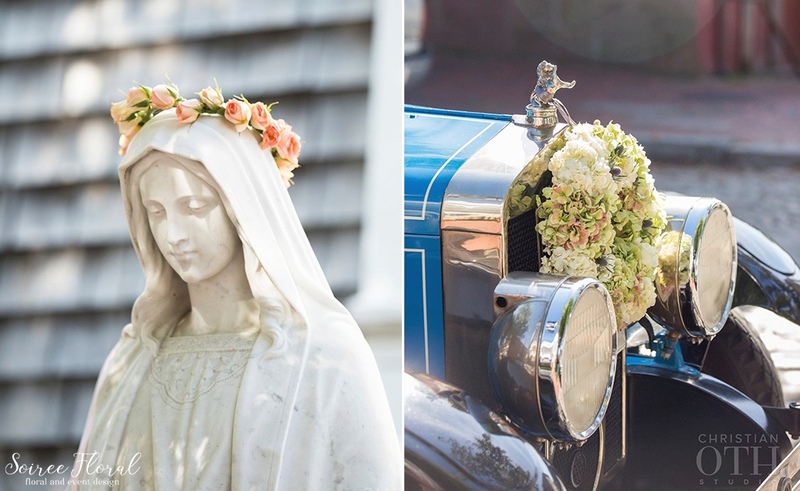 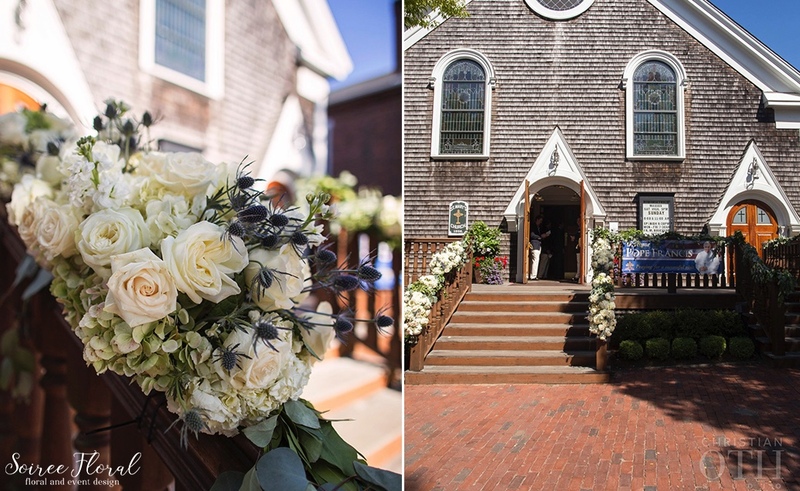 Their nuptials took place at St. Mary’s Our Lady of the Isle, where we covered the railings with green garlands and designed lush floral arrangement in traditional Nantucket lightship baskets for the altar area. 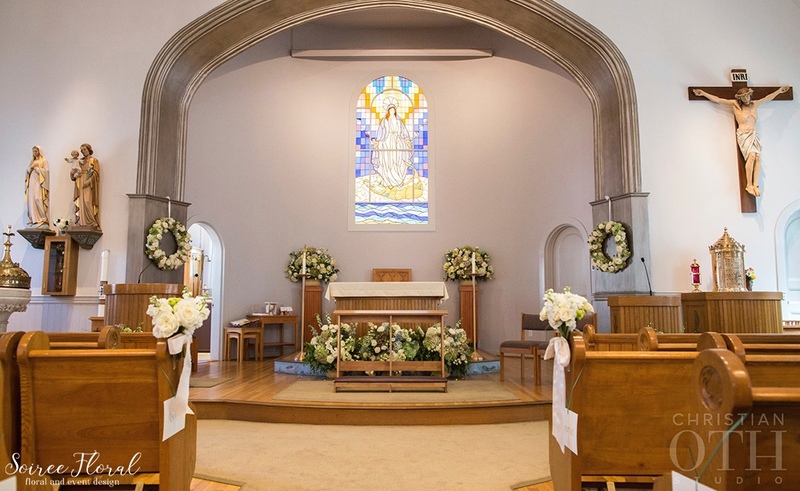 The couple exited the church with their guests in celebration, waving wands of bells and ribbons. 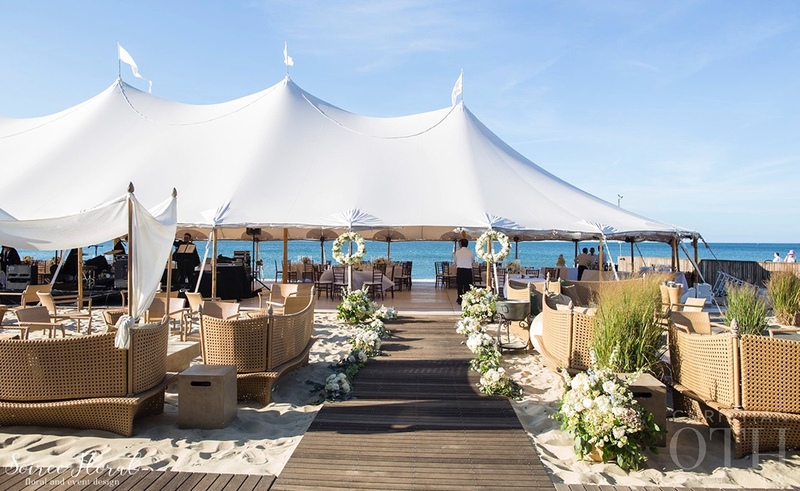 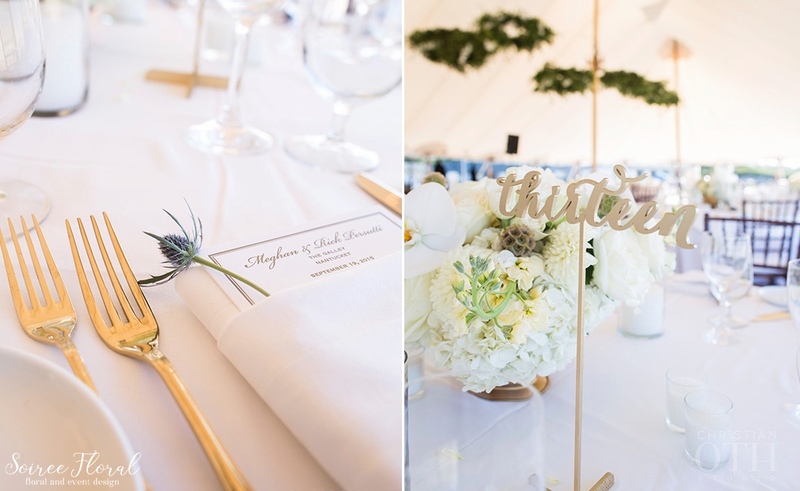 Soft hues of white, green and ivory with accents of gold and a hint of blue adorned the tables under the sailcloth tent at Galley Beach. 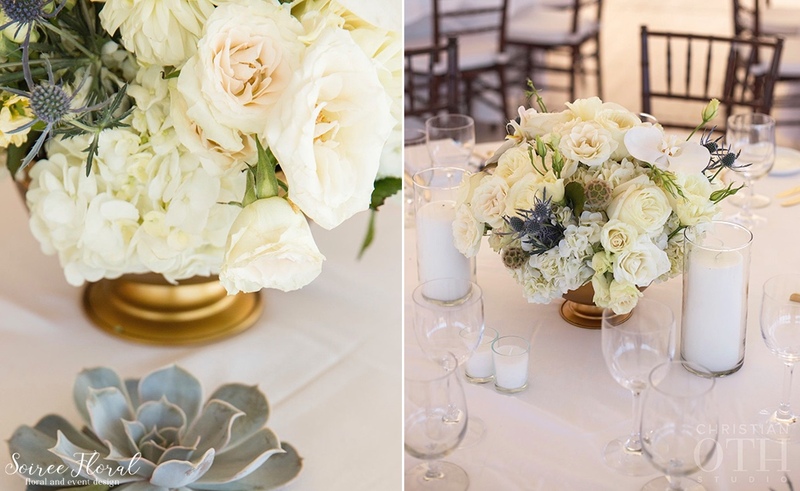 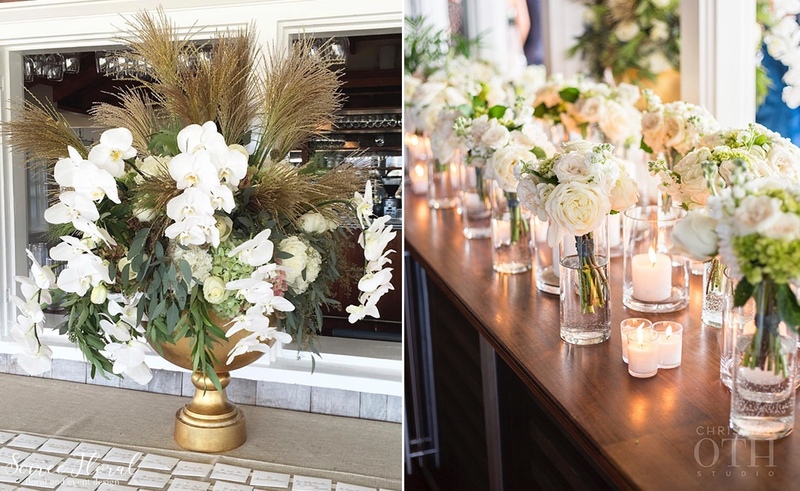 Orchids, roses and hydrangeas found their place on crisp white linens, surrounded by pillar candles. 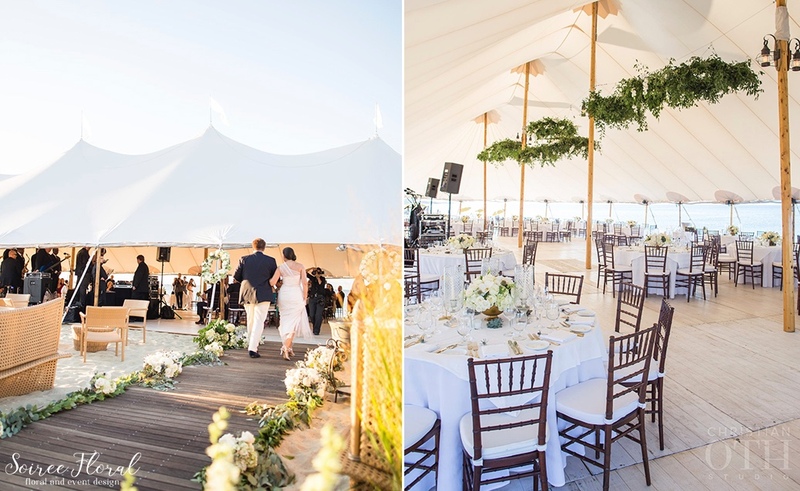 Wreaths of greenery hung between the poles of the tent, bringing down the ceiling and creating a cozy, garden-like environment. 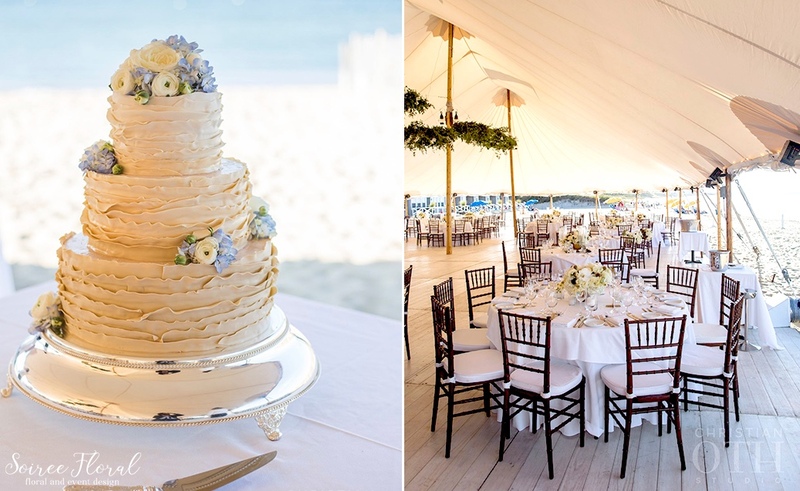 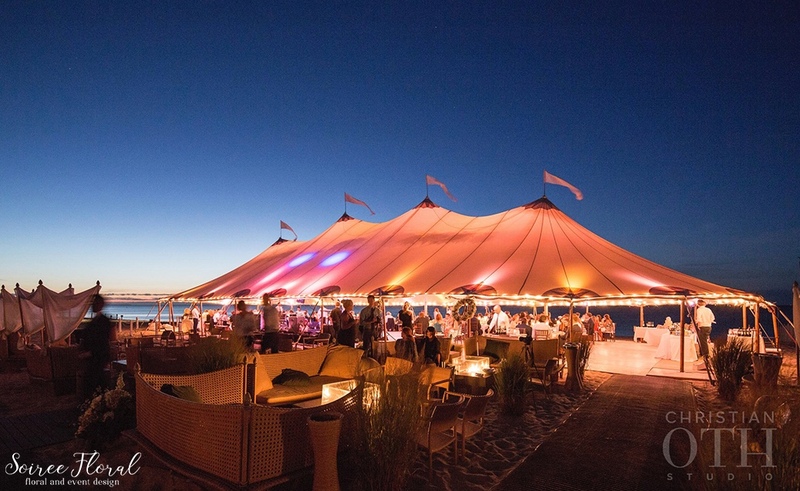 The couple and their guests spent the evening dining on exquisite cuisine, dancing and enjoying the fall Nantucket ocean breeze. 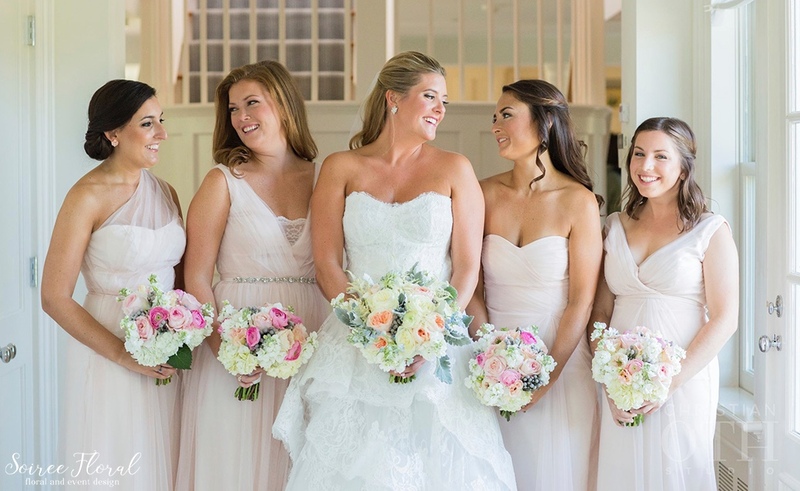 See their wedding featured on Brides.com.